A team of engineers, medics and physiologists from the Exeter and Bath universities in the United Kingdom are exploring claims that people experience motion sickness, tiredness, fatigue, depression, poor concentration and lack of motivation if they live or work in a building that sways slightly. Testing simulators will be built in the universities to measure movement from very tall buildings, offices, flats, football stadiums and rock concert venues. Measuring of movements will include the impact of vibrations caused by crowds simultaneously exiting a stadium or walking across bridges. The building and design industry plans to use the findings to improve structural design, according to Chicago-based Council on Tall Buildings and Urban Habitat (CTBUH). 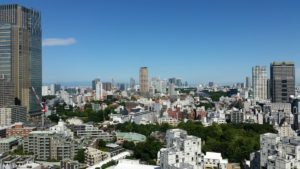 The many tall towers in earthquake-prone Japan are built to sway considerably to deal with the impact of seismic activity. Experts warn that wobbly skyscrapers may trigger motion sickness and depression. If working in an office highrise makes you tired and grumpy, it may not just be your job that’s to blame. Skyscrapers may trigger motion sickness, sleepiness and depression because they sway slightly in the wind, say experts who are launching a study to gauge such impact and work out how to prevent it. Such studies are also timely as more and more people are living and working in highrises and office towers. Our very own Petronas Twin Towers are built to withstand tremors. 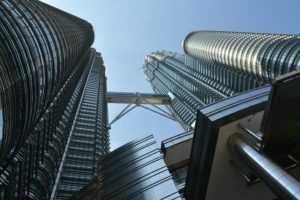 According to CTBUH, although the skyscrapers appear solid, they do shift slightly in response to external forces like nearby building work or trains rumbling past. Strong winds can also make them vibrate on sway at low frequencies. Since the 1970s, floor slabs have become thinner and lighter and column spacing has increased, meaning that newer buildings often do not dampen vibrations as well as older buildings. Meanwhile, a design code is currently being drafted in Malaysia to raise safety standards of structures and to make buildings able to increase resistance against tremors. It will apply to all buildings both landed and high-rise, more so high-rise properties as more Malaysians are moving into condominiums. Those involved in the design code are coming up with design recommendations for new building structures that will suit a low seismic risk zone like Malaysia.